Back to my morning adventures in California. 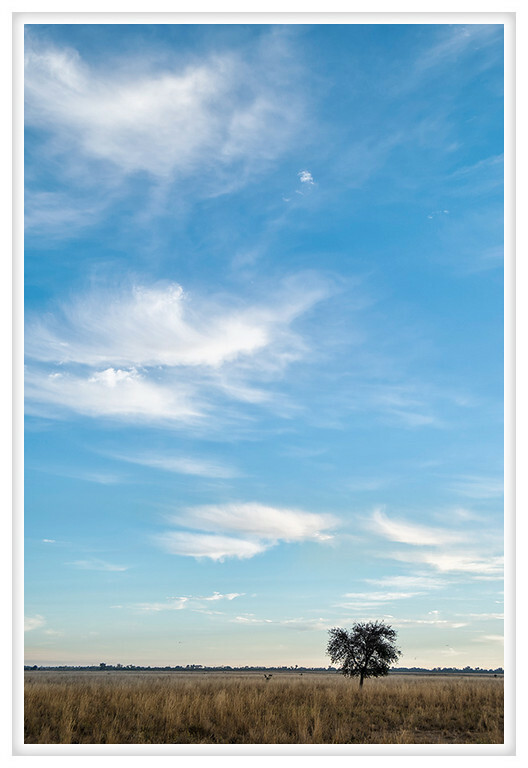 I was trying to find a little visual interest to anchor the wispy clouds and this lonely tree was perfect. It was still early and there is a blush of sunrise color on the horizon. These kinds of morning are rare and I am so happy I was there to enjoy it!